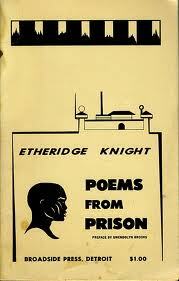 Earlier, I was writing about the large numbers of poems by prisoners submitted to African American Review (AAR). At one point, the editors of AAR received at least one package of poems per day from a prisoner for an entire year. Keeping those daily poems from prison in mind, it just so happened that I was discussing Michelle Alexander's book The New Jim Crow with a group today. At one point, Alexander writes that "The impact of the drug war has been astounding. In less than thirty years, the U.S. penal population exploded from around 300,000 to more than 2 million." No doubt, a much larger number of potential poets are now behind bars. It's certainly clear to me that the large numbers of poetry submissions to AAR from incarcerated black men is directly tied to the dramatic increase of prisoners in the U.S. over the last three decades. According to Alexander, "despite the unprecedented levels of incarceration in the African American community, the civil rights community is oddly quiet," for "mass incarceration tends to be categorized as a criminal justice issue as opposed to a racial justice or civil rights issue (or crisis)." It's possible that African American arts and humanities communities have remained "oddly quiet" as well. There are relatively few works by novelists, poets, and literary scholars, for instance, that address the racial implications of mass incarceration. I think it's because many have believed the myth that blacks use and sell drugs at a higher rate than whites. I've heard many in the black community that say, "Well, if you don't do drugs or don't sell drugs, you won't wind up in prison." While this is true, it isn't always that simple. If you can make more money and provide for your family selling drugs vs. working a dead-end low wage job, it's hard to say no to that. "Stay in school" others say, while ignoring the data on black youth's experiences in schools dominated by white middle class teachers.